Envied by many, wanted by plenty, disliked by some, comparable to none! Like all Designer Devotees, you know your assets are bold and your value is high. 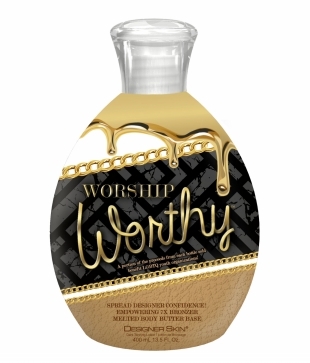 To ensure all know this sense of worthiness, Designer Skin is donating a portion of the proceeds from each bottle of Worship Worthy sold to LGBTQ youth organizations. Now you can get what's yours while giving back. Bosses build empires – with this Melted Body Butter you’ll have haters bowing down while you cultivate strength in others! This confidence is Designer, and you wear it well!